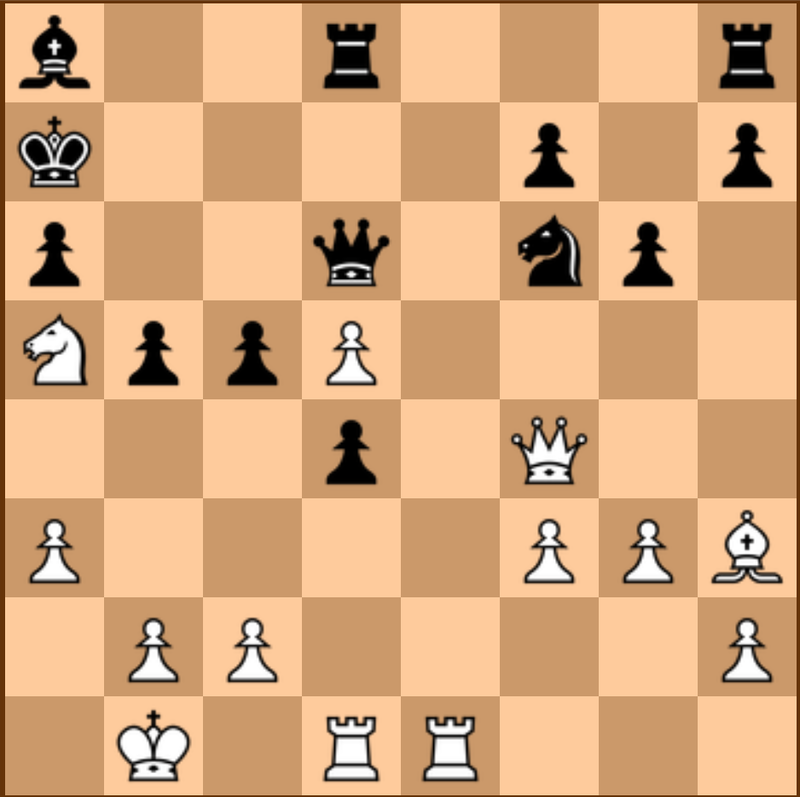 This position is from the famous game, Kasparov – Topalov during the 1999 Wijk aan Zee. If you love tactics, chances are you know this one, but if not, this is a good puzzle to try and solve. Topalov just played 23… Qd6. How does White win? Pretty crazy, right? Kasparov insists he saw the entire variation from his initial calculation on move 24, but a lot of critics doubt he saw the entire 20 moves. What do you think?